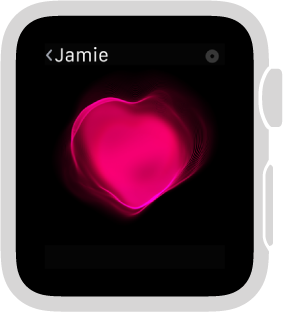 Send a sketch, a few gentle taps, or your heartbeat. 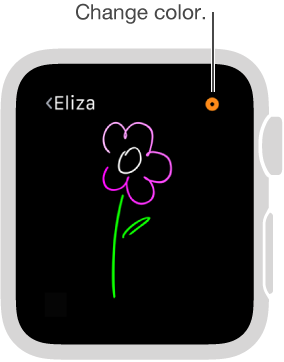 To see (or feel) a sketch, tap, or heartbeat someone has sent you, just tap the notification. Send a sketch. Use your finger to draw on the screen. Tap the color picker in the upper right to choose a different color—even in the same drawing. 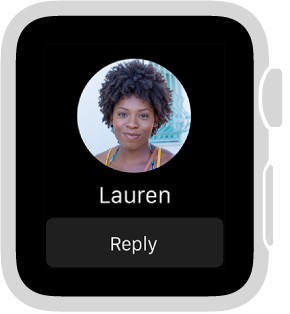 The sketch is sent when you stop drawing or changing colors. Send a tap. Tap the screen to send a single tap or tap repeatedly to send a tap pattern. Share your heartbeat. 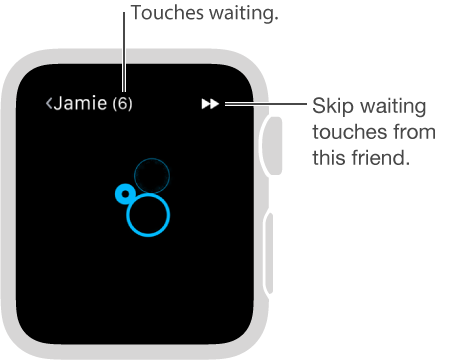 Place two fingers on the display until you feel your heartbeat and see it animated on the screen. Need a refresher? Tap on the Digital Touch screen for tips.